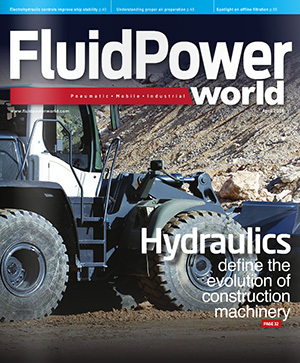 The editors of Fluid Power World have planned out many great presentations for the upcoming Fluid Power Technology Conference in Milwaukee. As such, engineers, designers and students will have many opportunities to learn from industry experts—as well as pneumatic and hydraulic manufacturers—at the two-day event. To be held at the Milwaukee School of Engineering’s Kern Center on Tuesday and Wednesday, June 21 and 22, the event will feature nearly 10 sessions led by experts in their respective fields. CEJN will present and address common quick disconnect obstacles for hydraulic applications from 11:00 a.m. to 11:45 a.m. on Wednesday, June 22. If you have experienced issues with connection under residual pressure, struggled with connecting multiple lines efficiently, or have been stuck in heavy duty applications when your heavy duty screw-to-connect fittings turned out not so heavy duty, then you need to attend this presentation. The company will present ways to resolve and/or eliminate these and other pressing quick connect issues experienced by anyone in the mobile construction and agricultural equipment markets.